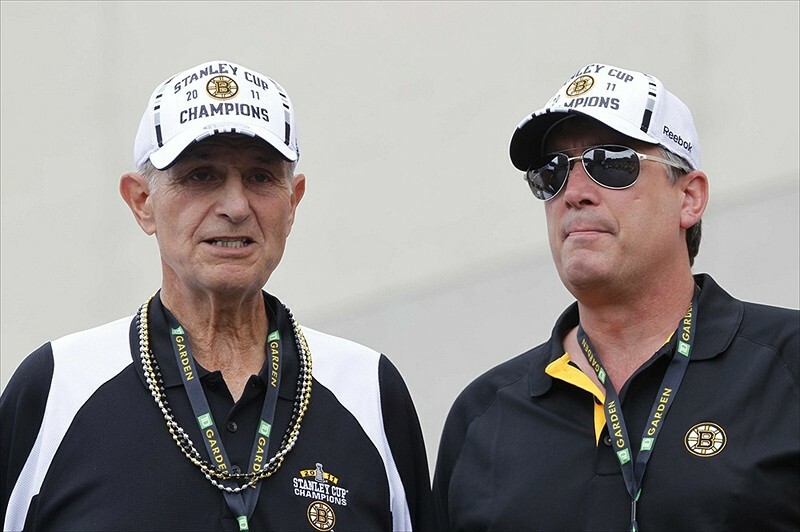 When Charlie Jacobs and Cam Neely hired Don Sweeney as the new Boston Bruins GM, old became new again. Or, new became old again. Either cliche works here. There’s this vision that this Bruins roster, that so gravely underachieved last season, could be resurrected as the “Big Bad” team from years’ past. Leadership wants the players to be stronger and tougher and get back to playing Bruins Hockey, whatever that means now. Instead, Sweeney was named Chiarelli’s successor – promoted from his Assistant GM duties and handed the keys to a team that needs, well, a lot. This wasn’t a change in direction. The leadership team is just retracing steps back to the old, glory days. 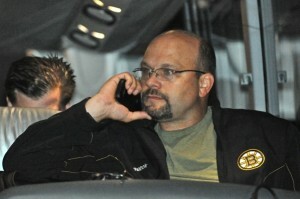 Here is what we know: Sweeney is the new Bruins GM and Neely is running the show. We know now that Harry Sinden is back in an advisory role and speculation says that if there is a coaching change, Adam Oates could be a candidate. It’s sounding like Jacobs and Neely is just getting the band back together. The Boston Bruins would be attempting a reboot similar to how Cory Matthews goes back to teach at John Quincy Adams Middle School for much less successful TV show. It doesn’t always work as well as it did the first time. That’s not to say that Chiarelli was or wasn’t the right guy as Bruins GM. It’s understandable why a change at the top had to be made. It’s just a curious choice that Sweeney, the most likely candidate was nabbed after what was described to be a “long and exhaustive search.” He was there all along. But let’s be fair. Sweeney deserves a fair chance and a clean slate. He’ll get it, too. One of the strengths of the Sweeney hire is that he knows the ins and outs of the Bruins organization, and has worked extensively with the team’s prospects while serving as the Providence Bruins GM for the past two seasons. The youth movement will likely happen, but Neely will certainly have a big say as to the pieces the Bruins move or try to get in the offseason. That means a player like Milan Lucic might be safe, but some of Chiarelli’s guys, think Dennis Seidenberg or Reilly Smith, could be up for discussion. Maybe this is the year Alexander Khokhlachev finally becomes a regular in Boston. You might even see a player like Anthony Camara spend time in Boston next season. He’s filled with buzzwords such as young, gritty, and tough that could satisify the wants of both Neely and Sweeney, and even fans thirsty for something outside of the box. With a weak free agent class, Sweeney will have to be creative by looking within the Bruins’ system for solutions or making shrewd trades. Smith has value and could likely fetch a young defenseman with potential to slot into the top-four, while Seidenberg could be traded to shred salary without much of a return. There are plenty of other wildcards, too. Regardless, the Sweeney hire was predictable. What worked well for the Neely-Chiarelli dynamic was that they were, for the most part, two different voices in decisions. If Don Sweeney is going to be successful as the Bruins GM, he needs to be able to differentiate himself from Chiarelli and step out from Neely’s shadows. In his press conference, Sweeney handled himself quite well. He seemed confident, determined, and ready to lead – all qualities important for a guy who grew within the system. Then, Neely said Sweeney has autonomy to do his job, but he’d like to be in the conversation, too. Handle that how you will. His first move, no matter what is, will set the tone for the Bruins offseason. The change in direction thought could have just been a way to get back to where the Bruins once were. Maybe Sweeney is right for the Bruins, but the old guard mentality certainly isn’t.